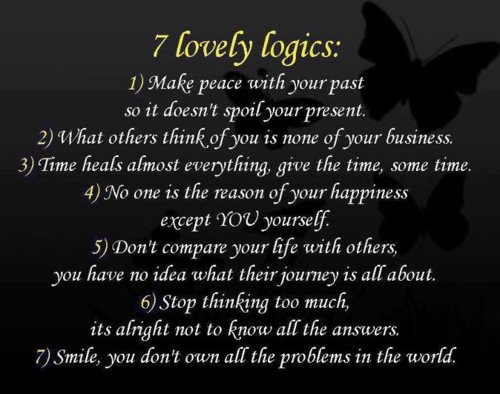 7 Lovely Logics | Gurly's collection of quotes, notes & video's made by great people who have been sharing their enlightenment through their words and actions. This entry was posted in Life, Quotes, Self development and tagged 7 lovely logics, Quotes by Gurly Hafsmoe. Bookmark the permalink.